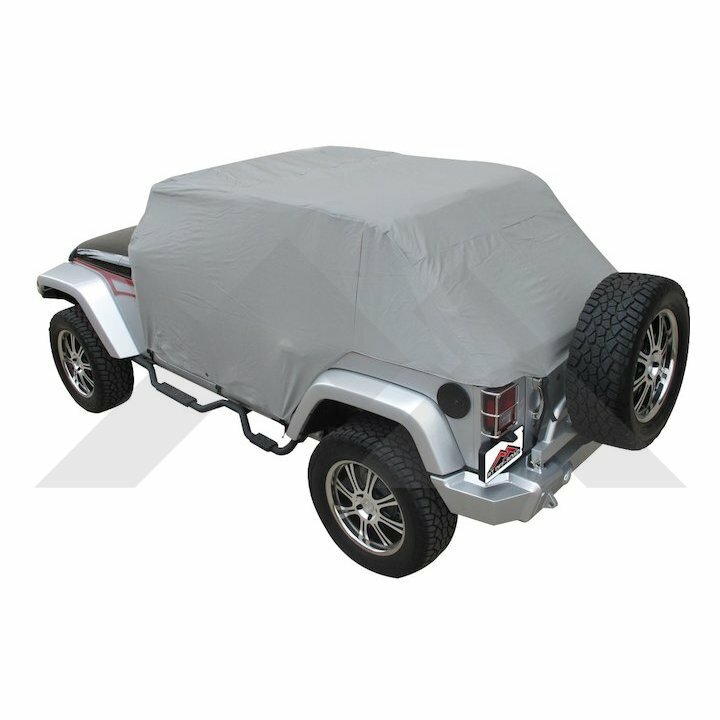 2007-18 Jeep Wrangler JK Cab Cover. Will not fit over hard top or soft top in the up position. Waterproof with bottom door flaps. RT Off-Road's Cab Covers were designed for a tight fit that will last for years. The elastic bottom and straps will keep the cover tight to the body. Designed to cover open cab with top down. Fits: 2007, 2008, 2009, 2010, 2011, 2012, 2013, 2014, 2015, 2016, 2017, 2018 Jeep Wranglers JK 2 Door Models Only.